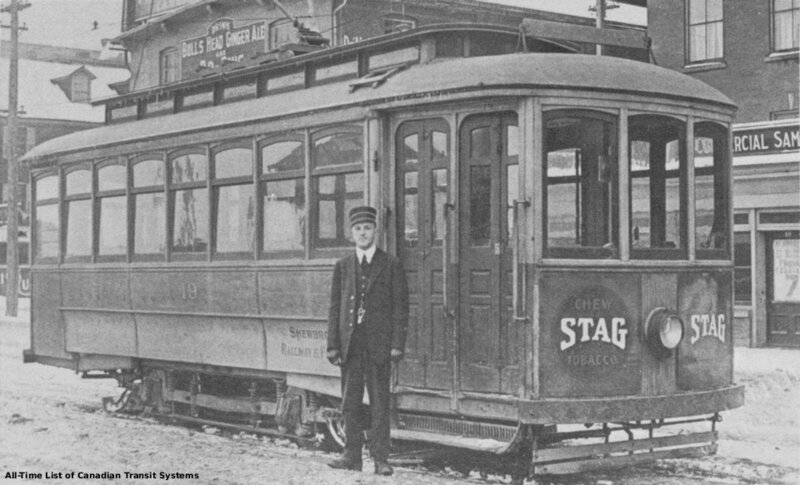 Each city street railway system, and each interurban electric railway system, is listed with the start and end dates for revenue passenger operation. 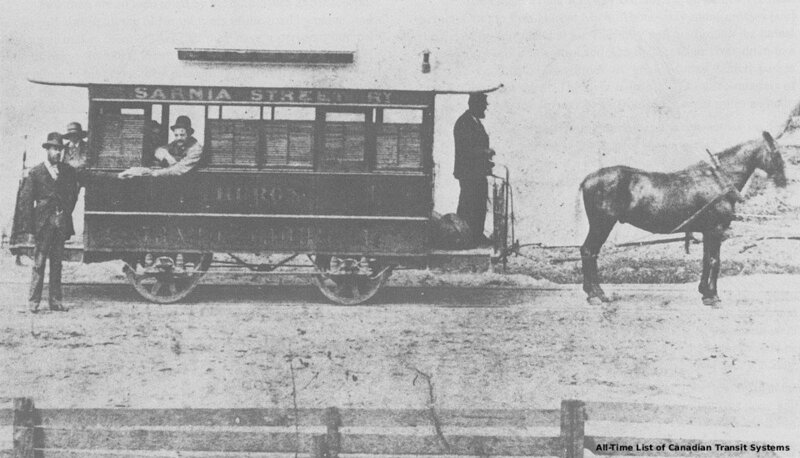 In some cases electric railway freight operation continued after passenger service was discontinued. Closing dates reflect the last day of scheduled service, even if that schedule extended past midnight into the early morning hours of the next day. 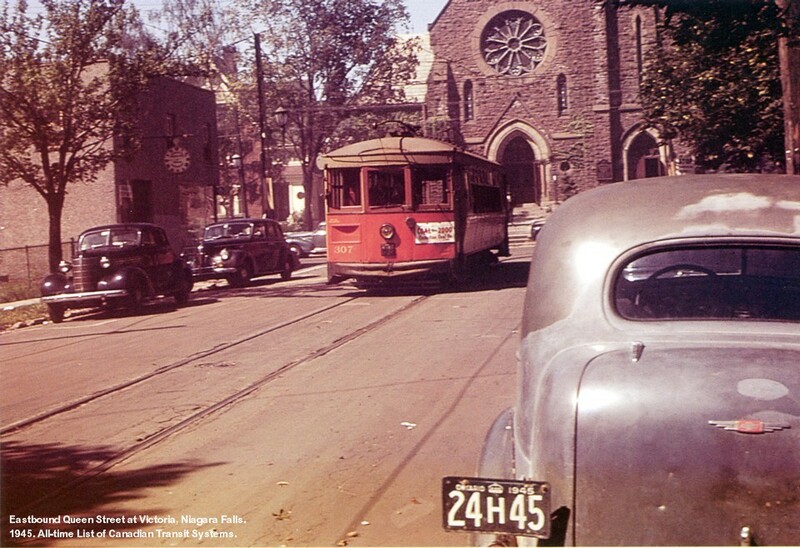 "*" indicates interurban company also operating city streetcar service. ">" indicates last service day extended after midnight into the next calendar day. 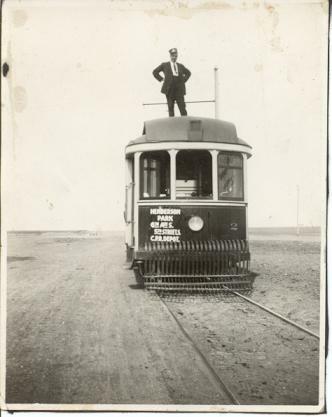 Electric railway service suspended 15 August 1931 - 01 October 1931. Electric railway freight operation continued until 09 October 1971. Employees were carried on free rides 17 April 1978, and the public was carried free 18-20 April 1978. Formal opening ceremonies were held 22 April 1978. Electric railway freight operation continued until 26 May 1939. Formal opening ceremonies held 24 May 1877. Formal opening ceremonies held 23 September 1893. 13. 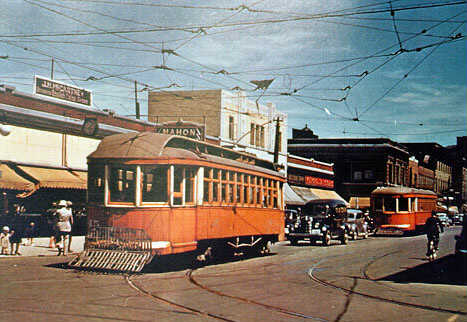 Kitchener - Waterloo, Ontario. 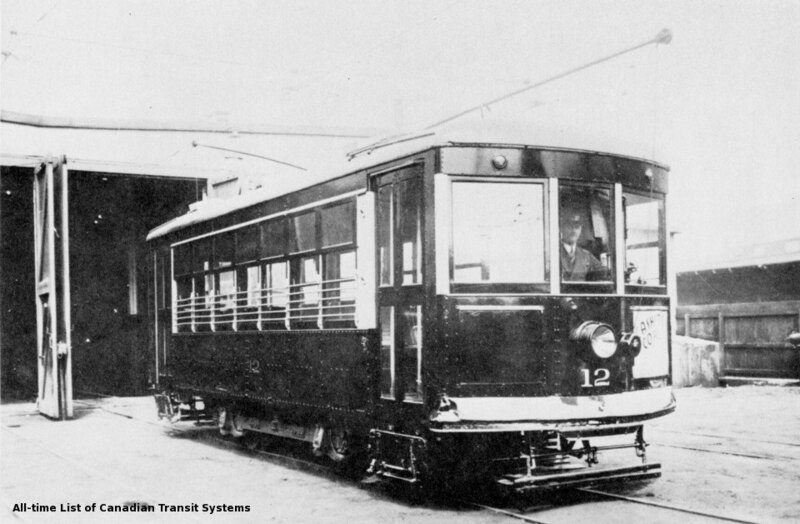 Service suspended 23 February 1921 - 12 April 1922. Formal closing ceremonies held 30 November 1940. Formal opening ceremonies held 19 August 1911. 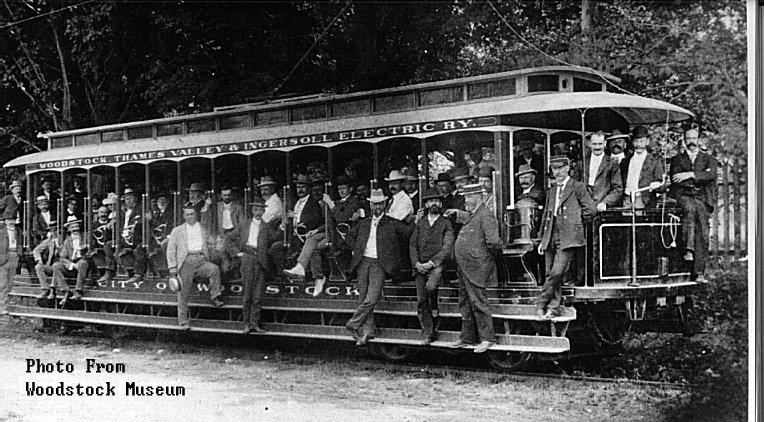 Electric railway service suspended 21 December 1910 - 21 June 1911. Electric railway freight operation continued until 27 June 1964. Formal closing ceremonies held 02 July 1964. Formal closing ceremonies held 02 May 1959. O-Train service suspended 27 April 2013 - 02 September 2013. 28. Ridgeway - Crystal Beach, Ontario. 33. St. Stephen, New Brunswick. Separate cities of Port Arthur and Fort William merged to form Thunder Bay 01 January 1970. 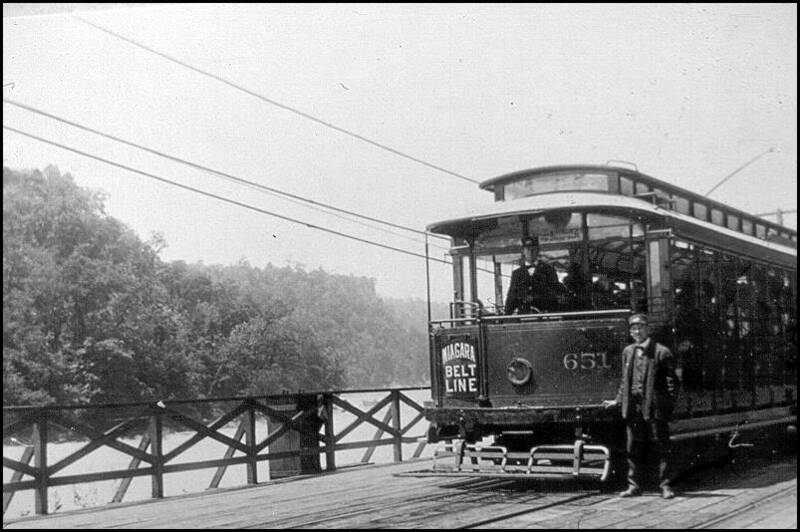 Electric street railway operated as a single system 1892 - 1908 and then by joint commission 1908 - 1913. Formal opening ceremonies held 10 September 1861. Formal opening ceremonies held 15 August 1892. Formal opening ceremonies held 26 June 1892. Formal closing ceremonies held 24 April 1955. Between 21 January and 21 March 2010 much of this line was operated by modern LRVs as the “Olympic Line” demonstration LRT. Formal closing ceremonies held 05 July 1948. The government publication Canada Yearbook, 1931 erroneously records the last day of operation as 30 June 1930. 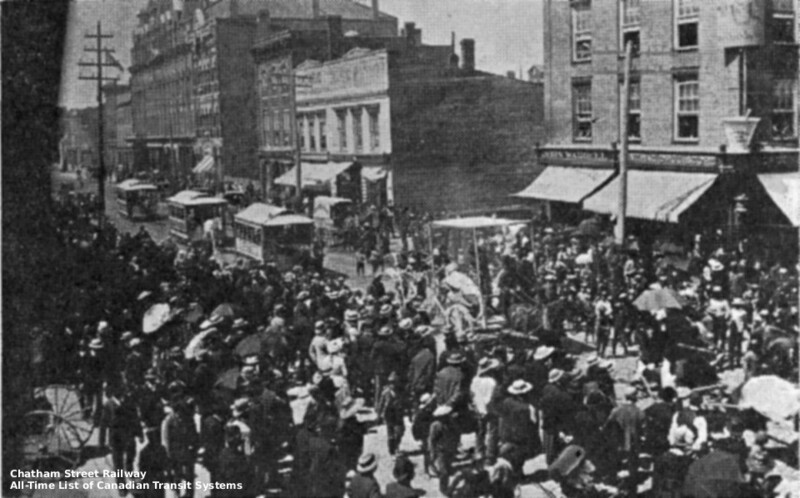 Formal opening ceremonies held 03 June 1886. Public carried free 03 June - 05 June 1886. Formal closing ceremonies held 19 September 1955. Diesel-electric railway (heritage) 15 July 2000 - present (summer seasons). 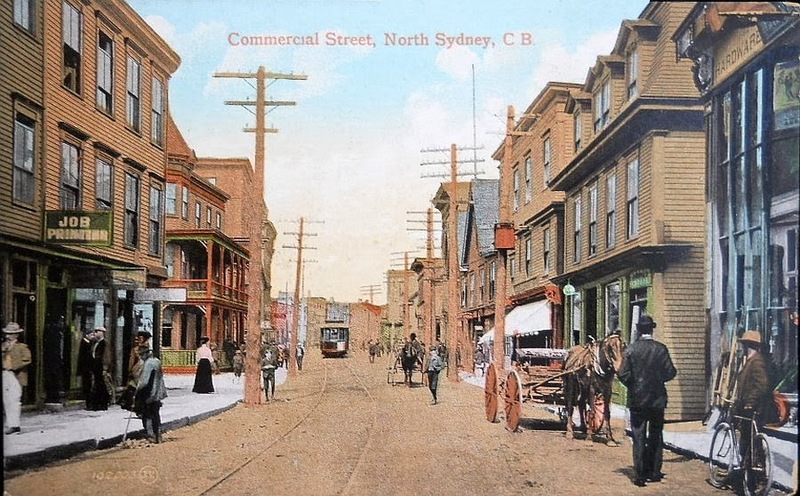 For companies incorporated but never operated see Canadian Paper Electric, Street and Radial Railways. Formal opening ceremonies held 18 June 1913. 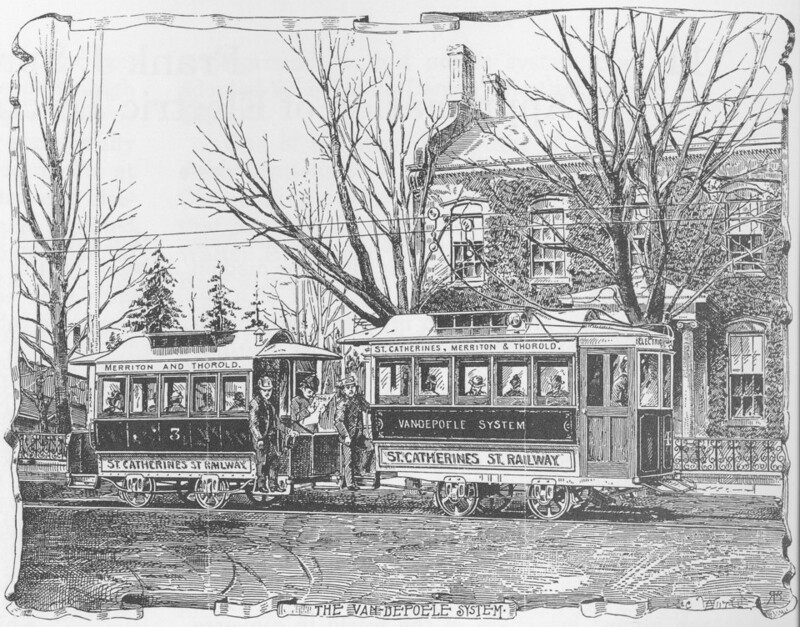 Limited service began 03 June 1891. Electric railway freight operation continued until 01 March 1930. Electric railway freight operation continued until 01 October 1961. 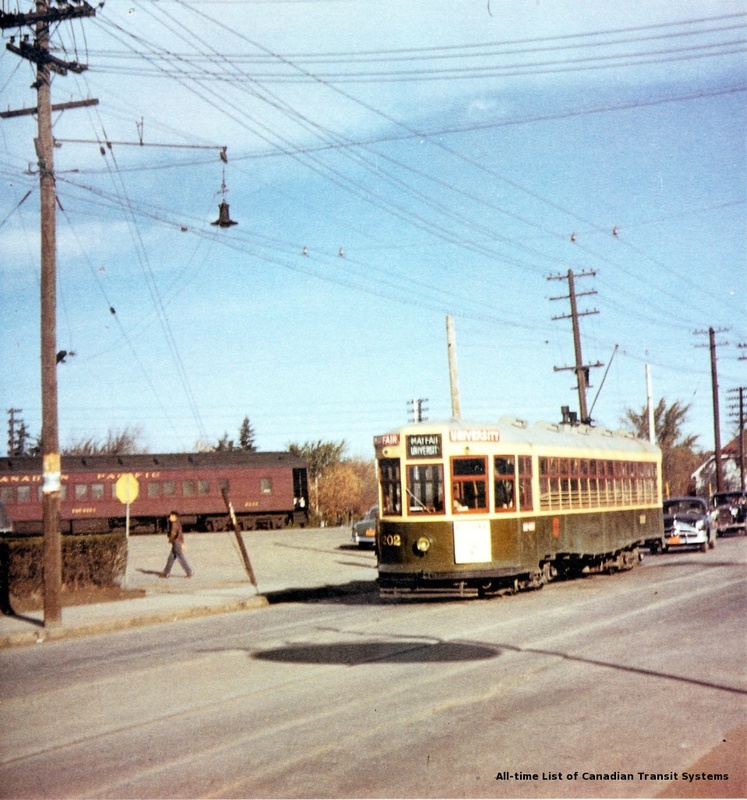 In The Intercity Electric Railway Industry in Canada (1966) author John F. Due erroneously reports service ended 30 April 1947. 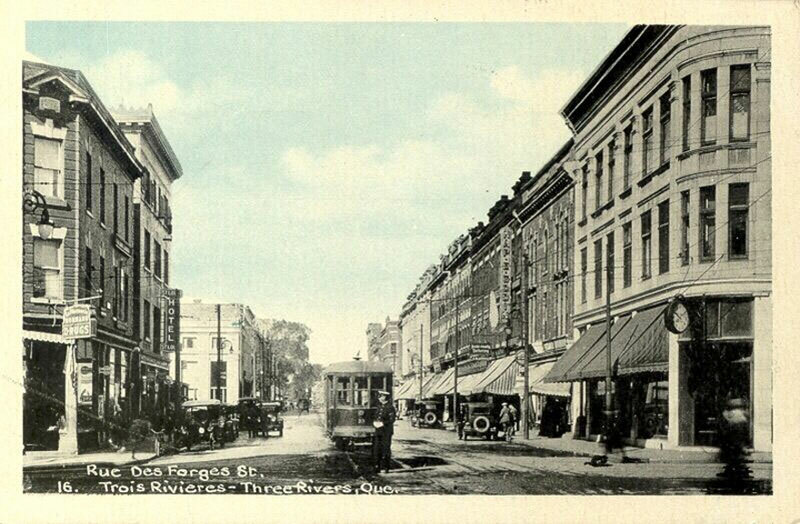 Steam operated 1912 - 1914. Electric railway freight operation continued until 30 September 1961. Operated as a conventional steam railway 25 September 1856 - 1915. Formal opening ceremonies for electric operation held 22 July 1915. 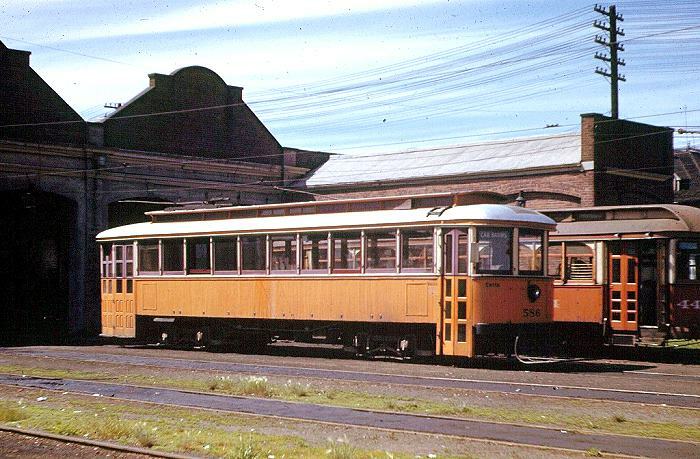 Electric railway freight operation continued until 31 December 1965. Formal opening ceremonies held 30 October 1909. 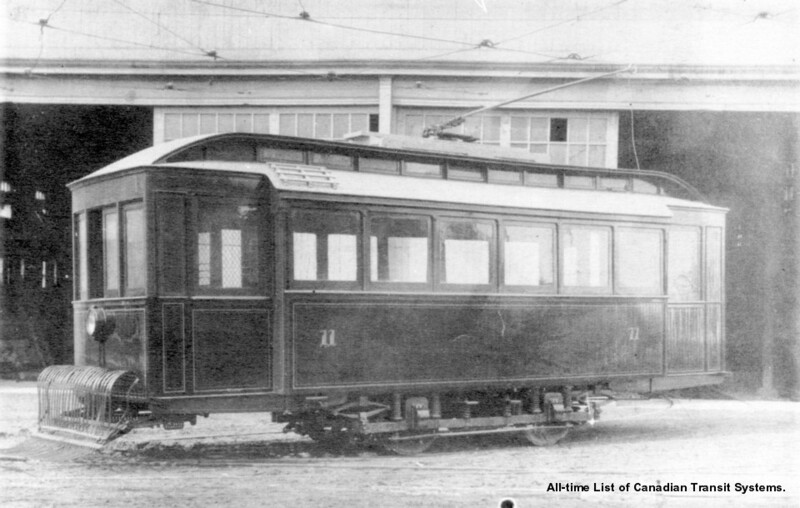 Operated by gas car 1910-1923. 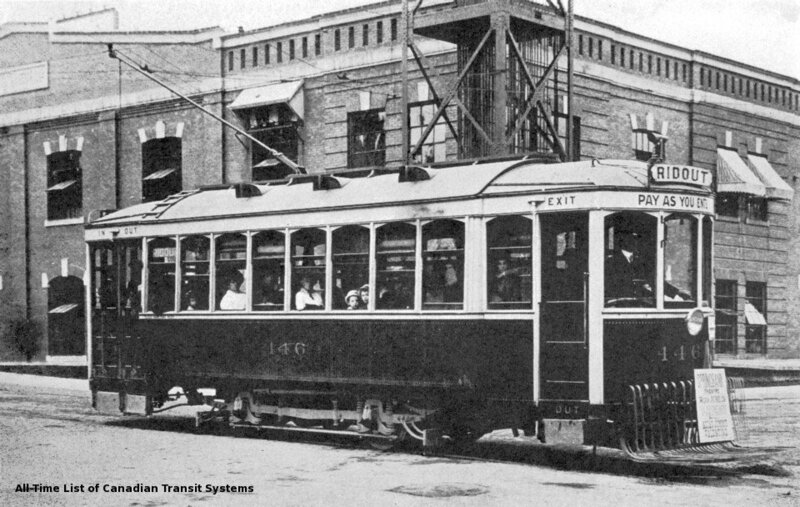 Partial electric operation commenced June 1917. All electric operation conducted by lessee Fort William Street Railway. 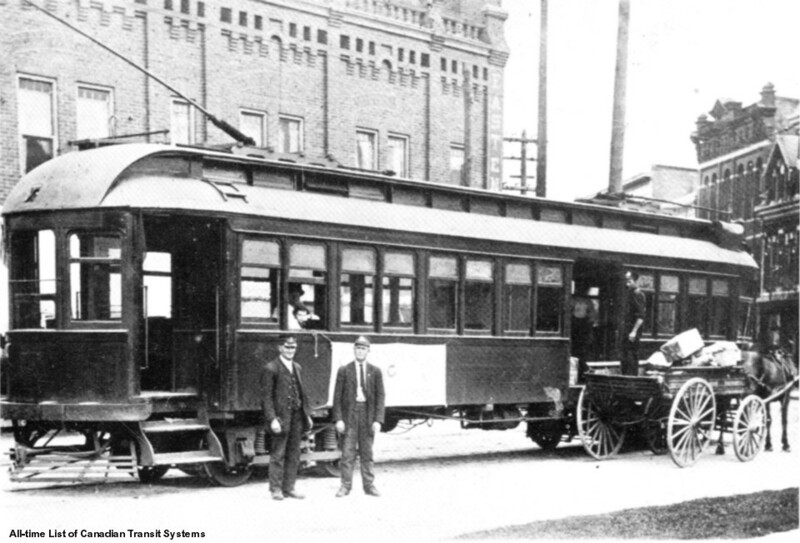 Some historians date NS&T's interurban operation from the opening of the former St. Catharines & Niagara Central line under electric power 19 July 1900. Ceremonial opening held 14 October 1904. John Due (1966, see above) erroneously writes that service ended May 1930. 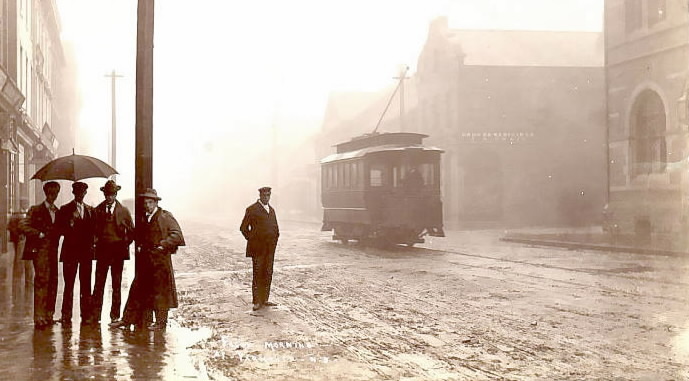 Operated as a conventional steam railway 10 August 1889 - 26 May 1900. John Due (1966, see above) writes that service began 10 June 1903. The government publication Canada Yearbook, 1948 erroneously records the last day of operation as 21 May 1947. 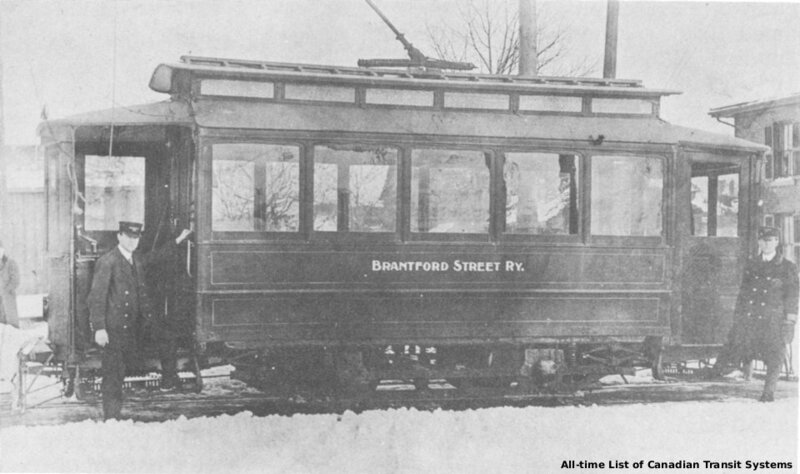 The Schomberg branch was operated by conventional steam 1904 - 1916. John Due (1966, see above) writes that service ended 01 August 1931. 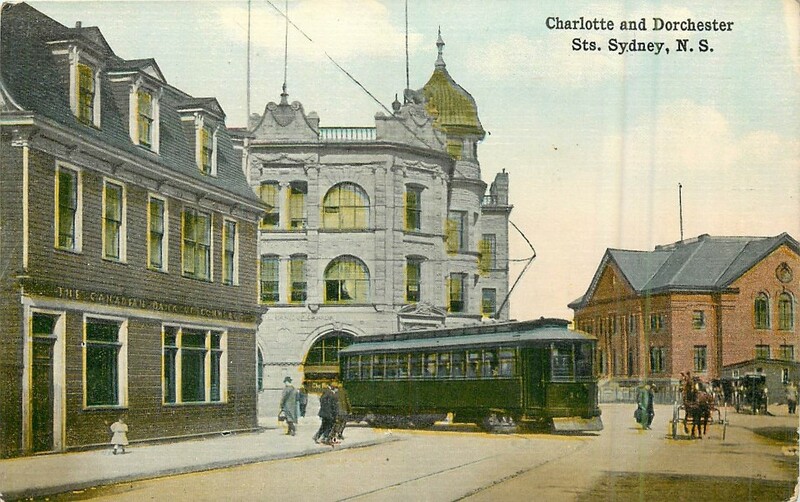 Operated as a conventional steam railway 29 August 1904 - 1908. 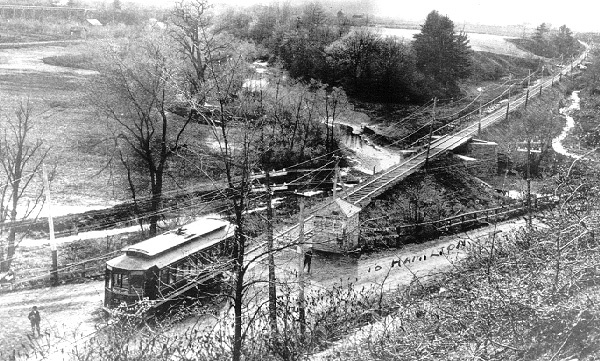 Limited electric operation began June 1906. 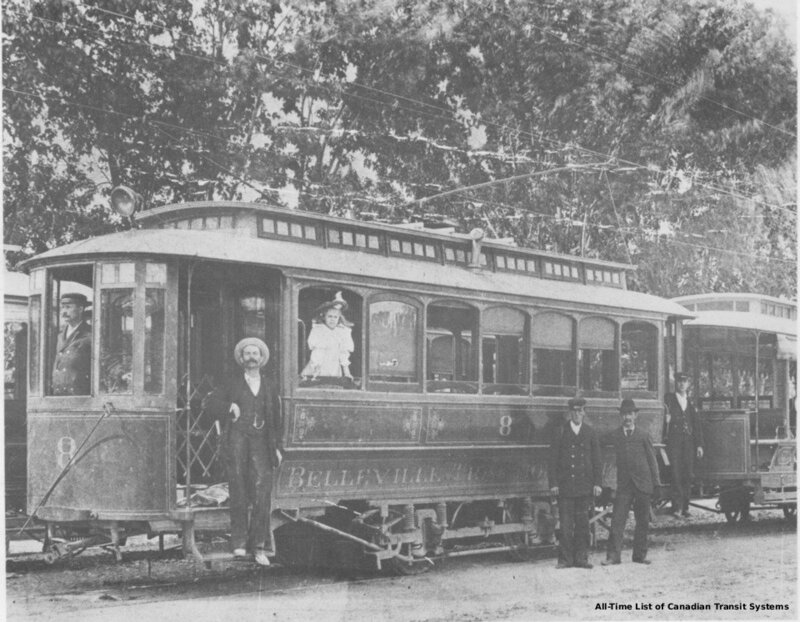 Formal opening ceremonies for electric operation held 23 May 1908. In Traction on the Grand (1977) John Mills writes that service ended 16 August 1925. 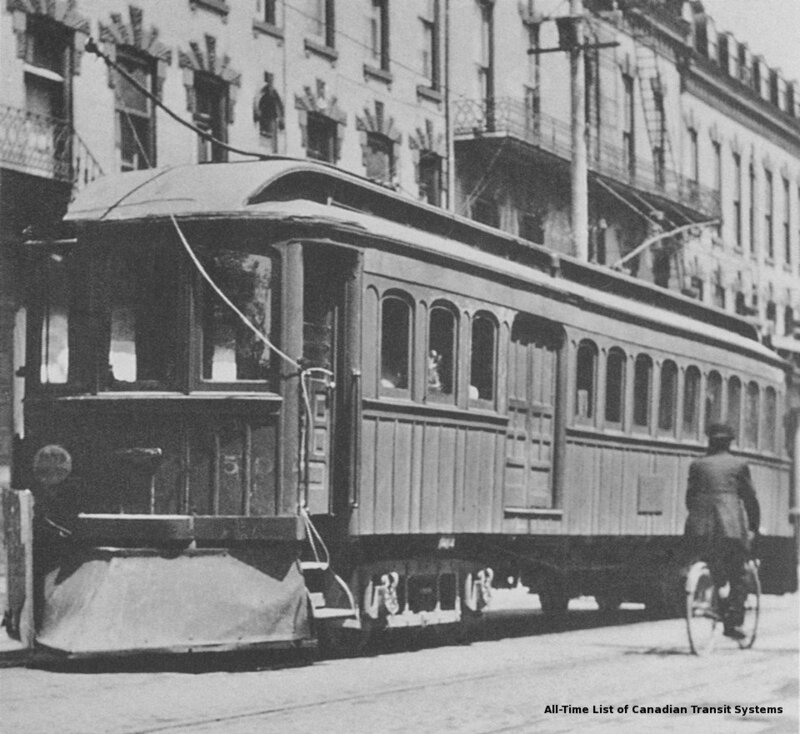 This is based on the canonical list of Canadian interurban electric railways, as determined by John F. Due (see References). 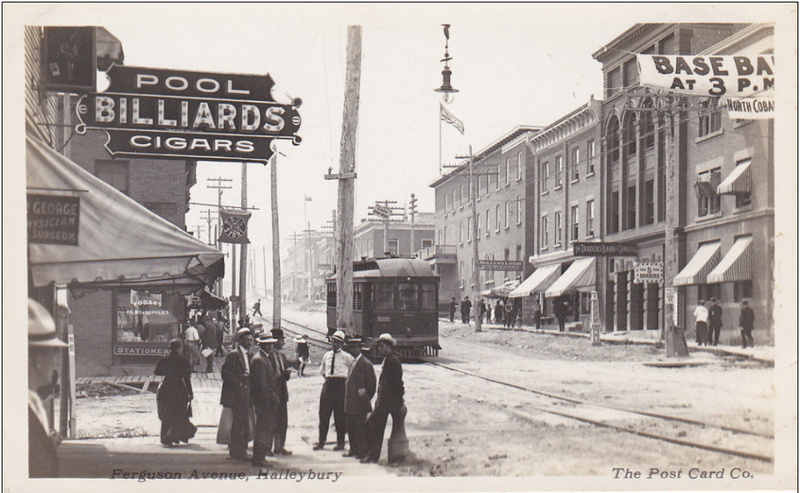 Other authors (notably William D. Middleton) writing from a less rigorous definition include a variety of suburban streetcar lines with interurban characteristics. 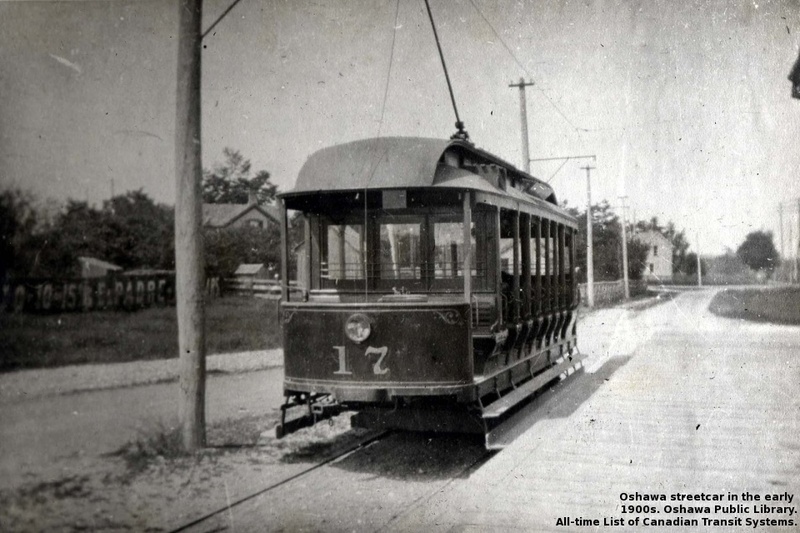 Among these are: Calgary [Ogden & Bowness Park lines], Winnipeg [St. Norbert & SRT lines], Sudbury [Copper Cliff line], Ottawa [Britannia line], Montréal [MP&I, MT lines], and Québec [QC, Kent House lines]. 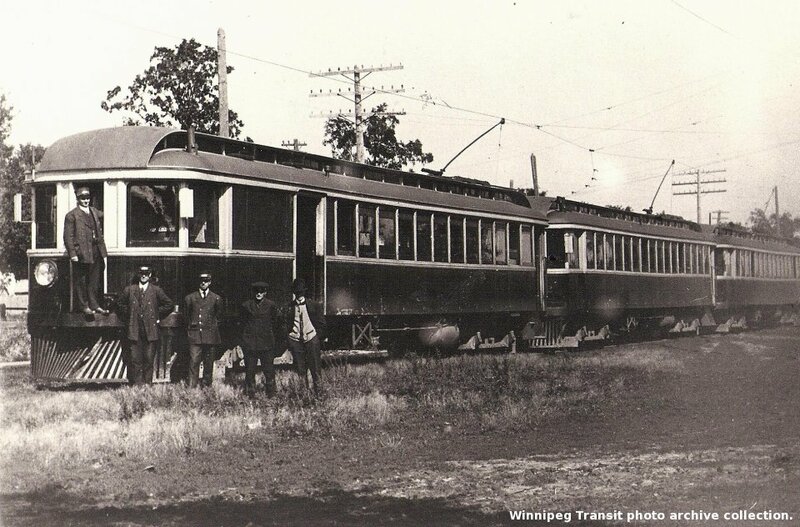 The Edmonton Interurban, Lacombe & Blindman Valley Electric, and Mount McKay & Kakabeka Falls were operated by gascar and thus excluded from the Due and Middleton lists. 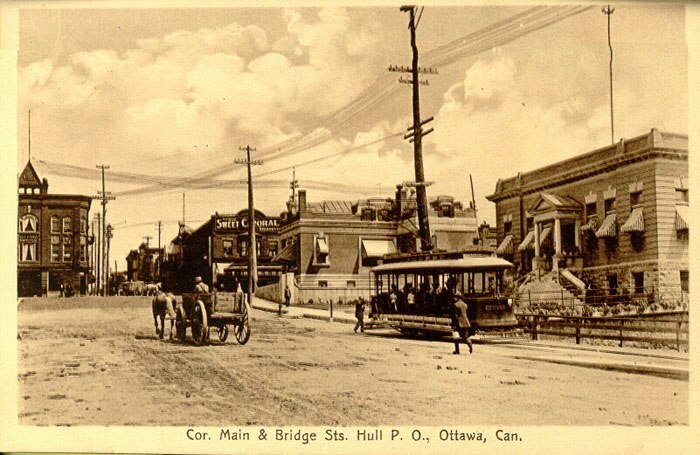 In addition to the above listed heritage tramways (Calgary, Edmonton, Nelson, Vancouver, and Whitehorse) there are street railway operating museums at Milton, Ontario (the Halton County Radial Railway [http://www.hcry.org/]), at Delson, Québec (the Canadian Railway Museum operated by the Canadian Railroad Historical Association [http://www.exporail.org/musee/musee_CRM.htm]), and at Fort Edmonton Park, Edmonton, Alberta (the Edmonton Radial Railway Society [http://www.edmonton-radial-railway.ab.ca/]). 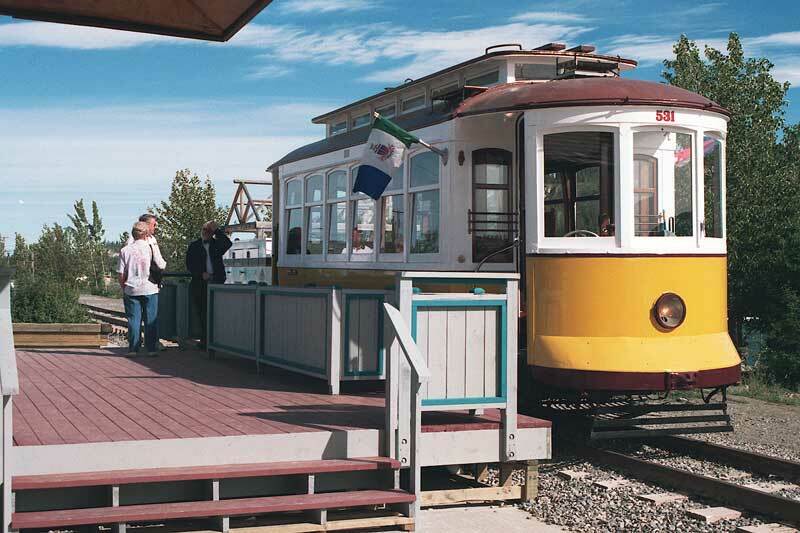 A horse car line was operated at Heritage Park Historical Village, Calgary, Alberta (?-circa 1998). 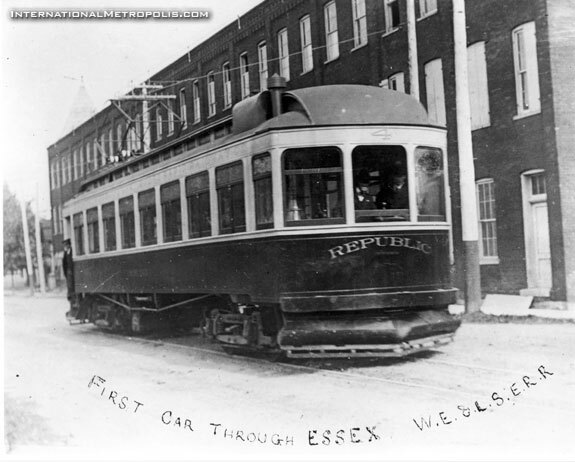 The able and extensive assistance towards the development of this list provided by traction historian Ray F. Corley of Scarborough, Ontario is gratefully acknowledged.